Versions supported: Project 2007, Project 2010, Project 2013. These are the standard Microsoft Project course lengths, covering the entire course material -- basic concepts through advanced tools. The 4-day class is recommended for total beginners, as it includes several practice schedule-building sessions, and goes into greater depth in describing how the tool is used in real project management situations. The 3-day class is appropriate for participants who already have some familiarity with Project prior to the class. To view the standard course outline, click this link. An abbreviated version of the standard Project course. It moves quickly, and typically omits some Project functions, such as resource management, cost management, baselining, and tracking. The course outline is reviewed in advance with the client to ensure that the course will cover functions most important to the participants. 5-day Microsoft Project Class – the complete course plus extra labs and practice sessions. This is the complete curriculum in its fullest detail. Extra labs help clarify the concepts from the class, and increase participants' retention. The labs are especially effective when participants provide actual project schedules. The students apply lessons learned in the class to these actual schedules. Special diagnostic filters are created to spot common errors. Anomalous behaviors that sometimes occur in Microsoft Project are reviewed, with reference to Microsoft's Knowledge Base. This in-depth class is recommended for full-time scheduling professionals, even if they have had prior training in Project. A 1-day briefing for senior managers who will not use Project themselves. This class is a lecture demonstration, allowing senior managers to see what Project can do. The instructor invites questions, and demonstrates how the functions operate. Participants do not need computers for this briefing. A 1-day class for secretarial and support staff, showing how to understand, edit, and print Project Gantt charts and network diagrams. 1-day classes focusing on specific Project functions in depth, for participants who are already using Project in their daily work. These are always customized to the needs of the participants, and typically address only two or three topic areas, such as resource balancing, earned value reporting, and advanced formatting options. Individual or small group workshops, combining training with work on real schedules provided by the participants. Personalized assistance, especially for individuals who have been given responsibility for managing large or complex schedules. Training can be provided in English or Spanish. Various course texts can be used with these courses, including Microsoft Press, Microsoft Project Step By Step, available for all versions of Microsoft Project. These books are available in English or Spanish. Click here for the page covering course costs and logistics. 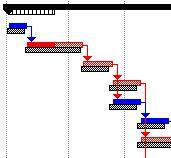 Creating new project plans in Microsoft Project. Debugging and rebuilding existing project plans that have gotten out of control. Integrating schedules from multiple sources, and producing consolidated reports. Exporting Project information into MS Excel for statistical analysis or special-format reports. 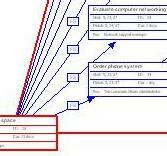 Using Project together with external earned value reporting systems. Consider "outsourcing" some or all of your schedule maintenance to us. We will update and maintain your project schedules from inputs received from your Project Managers and team members. We will prepare monthly reports, and we will manage schedule briefings and demonstrations for third parties, including customers, funding sources, and boards of directors. Outsourcing may be less costly than hiring and training your own schedule maintenance staff. Services are provided by experts in Microsoft Project, resulting in fewer errors and fewer problems. We will customize and prepare a wide variety of monthly or quarterly reports as required by you and your final customers, as applicable. These reports will typically include progress tracking reports and earned value reports. Your managers will receive diagnostic reports designed to spot logic errors and identify tasks that have not been properly "statused". We will manage key schedule presentations and senior staff briefings at your offices or your customer's offices. We can typically perform most schedule maintenance work from our own offices, using electronically provided inputs. This gives us flexibility in our work scheduling, and reduces time spent traveling. If security rules require all work to be done at your site, that can also be arranged.